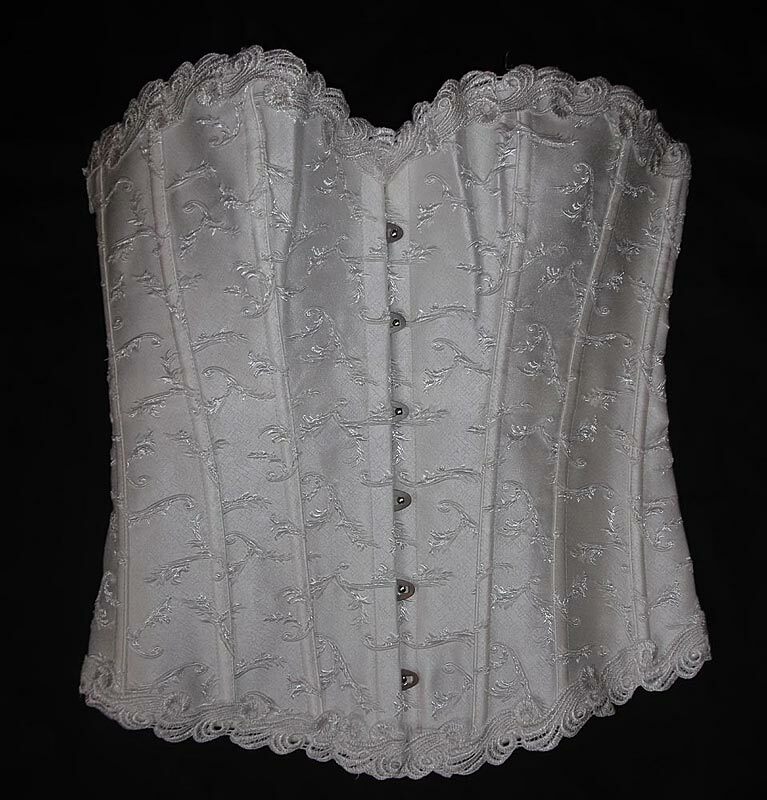 Ivory jacquard and satin bridal corset with a plunge sweetheart neckline, embroidered frill top and bottom, stainless steel busk closure, 2 metal and 12 solid plastic bones throughout and flat lacing bones with a 4 1/2 inch wide modesty panel. This quality corset is not an inexpensive 'fashion' corset, it is of good quality made with a cotton twill lining which makes it thicker and stronger, satin ribbons for lacing at the back. This corset will quite happily pull in your waist by 3-4", with the laces allowing the tension to be adjusted for different areas for a perfect fit. Comes with matching thong. Material: 90% Polyester and 10% Spandex, 100% Cotton Twill Binding in lining.